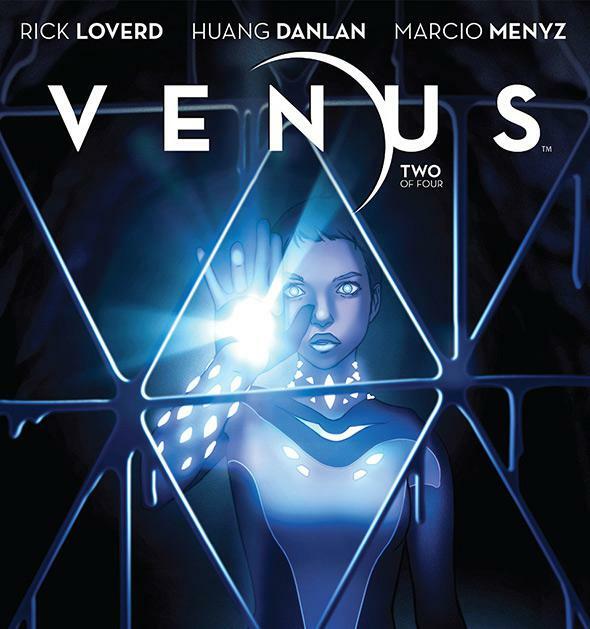 Rick Loverd comic book miniseries Venus features good science. The comic book miniseries Venus features pretty good science. What would it take to colonize Venus? The idea is a bit far-fetched right now, but in 100 years or more, who knows? 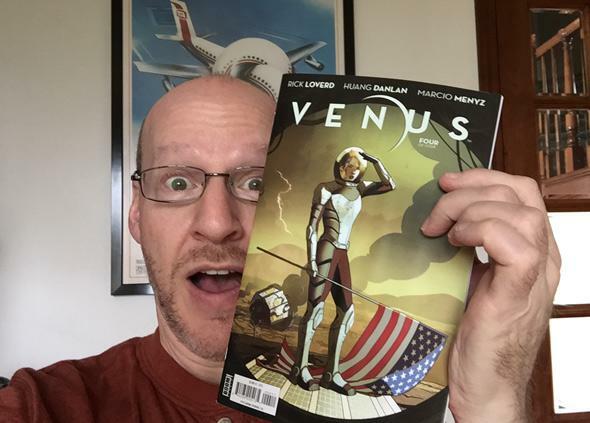 It might be possible, if our circumstances drive us to try it … and that’s the premise for the four-part comic miniseries Venus, written by my friend Rick Loverd and published by Boom! Studios. Rick is the program director for the Science and Entertainment Exchange, a great group of folks put together by the National Academy of Sciences to improve the science and depiction of scientists in movies, TV, and other entertainment sources. I’ve worked with them quite a bit over the years, and really respect the work they’re doing. So when Rick asked me to take a look at his comic about the crew of the Mayflower, a group of explorers who will be the first to attempt to live on the barely tamed surface of Venus, I was intrigued. Unsurprisingly to me, I liked it! It has a lot of comic-style derring-do coupled with a pretty firm basis in science, extrapolating from what we know today and seeing where it might take us. When you first look at Venus’s stats, it’s easy to think it’s Earth’s twin. After all, it’s nearly the same size, with a diameter of 12,014 km (95% Earth’s). It has about 82% the mass of Earth, giving it almost the same density as our home planet, which in turn implies it’s made of very nearly the same material: Iron, rock, and so on. But when you look more closely, things get ugly fast. Venus is so hostile an environment that it would make the devil jealous. The atmosphere is incredibly thick, with a surface pressure 90 times higher than Earth’s. The air is almost entirely carbon dioxide, which generates a ridiculous greenhouse effect. The surface temperature is a sweltering 460° C (860° F). The clouds there aren’t made of water vapor like ours… they’re composed of sulfuric acid. Yes, seriously. Venus isn’t Earth’s twin. It’s Earth’s evil twin. Check your local comic book store for the series, or, if you want to wait until October, you can preorder the series compiled in a book from Amazon. If you want more info, Entertainment Weekly had a nice interview with Rick in a recent issue.